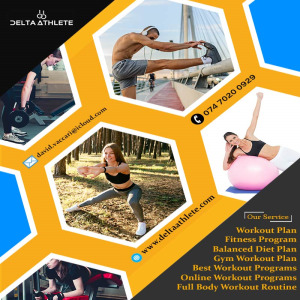 Delta Athlete is your one-stop shop if you are interested in checking out the best workout programs for keeping yourself fit. Our fitness program is tailored to meet your individual needs. We design our exercise program in such a way so that it helps you to maintain your fitness goals with great ease. With the help of our balanced diet plan, you will be guided about choosing the right food. A well-balanced diet along with an appropriate exercise program will go a long way in helping you to attain your fitness goals very quickly. We are based in London and have offered the best guidance to many clients for a long period of time. Consult us now and let us help you to achieve your fitness goals within a short span of time.